The “RE” in RE Pro Shop Miyoshi says it all, Rotary Engine. 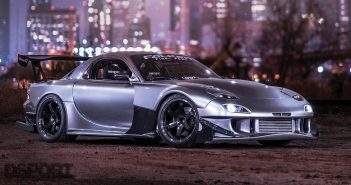 Located in the suburban prefecture of Okayama, Japan, this tuner of the triangles loves rotaries and racing. Within its 407 square meter (4,380 square foot) facility, the company president, Toshiaki Miyoshi, and his staff have poured their passion into every machine to pass through their garage doors for more than three decades. Just looking at the vehicles parked on the lot, you get a feel for what they like. Several FD3S prepped for street performance and weekend track days fill the first row. Plus you can’t miss Miyoshi-san’s personal project car, a lime green Mazda RX-3. 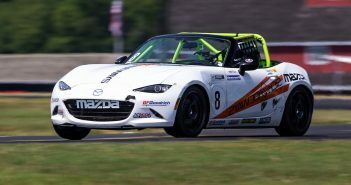 These vehicles not only demonstrate the company’s penchant for rotary power, they also see track time whenever the staff can get together to turn laps. Behind the company’s fleet of demo vehicles were rows of second-hand cars for sale, many equipped with rotary engines. 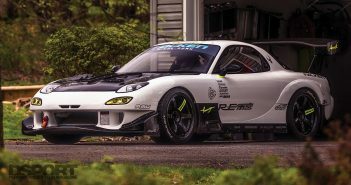 In addition to rotary cars, Miyoshi also builds and maintains go-karts, encouraging both youths and adults to embrace racing.